"Now you just soak up the sun here, Sheryl Crowe." There's nothing like a dark comedy to lighten up the mood, right? 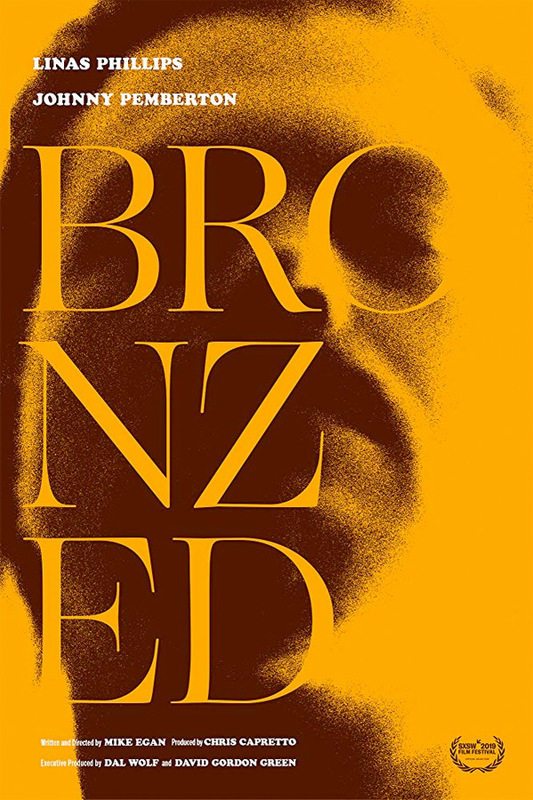 Bronzed is a short film straight out of the SXSW Film Festival earlier this month, from the Midnight category. Written and directed by Mike Egan, the short stars fellow filmmaker Linas Phillips, with Johnny Pemberton. What is it about? Neo-sun worshiper Martin prepares to appease the solar Gods with ritual human sacrifice. But first he needs a spray tan. This is another one of those super wacky, WTF dark comedy short films that is totally twisted but amusing, and a bit wacky but humorous. And it's worth a watch. Executive produced by David Gordon Green. Shorts are a great way for filmmakers to experiment and play with fun ideas, showing us just how silly and twisted and weird they can be, all for our amusement. Thanks to Short of the Week for the tip on this one. Original description from Vimeo: "Neo-sun worshiper Martin prepares to appease the solar Gods with ritual human sacrifice. But first he needs a spray tan…" Bronzed is written & directed by filmmaker Mike Egan - you can see more of his work (mostly for writing) on Vimeo. Produced by Chris Capretto. Featuring cinematography by Bobby Bukowski, and original music by Seth Olinsky. This just premiered at the SXSW Film Festival in the Midnight section this month. "There's a tension running through the film which puts the audience on edge, and though the story is farcical, this uneasiness is omnipresent as we witness how wild things get when this basic understanding is broken." For more info on the short, visit SOTW or stop by the film's official site. For more shorts, click here. Thoughts?